Editors note: This article is part of a five-part package dealing with operating costs in 2017. Read related articles that offer and in depth look at tire prices, fleet maintenance, and preventative maintenance, as well as an overview of operating costs in 2017. The stability of fuel prices over the past 30 months has been the No. 1 factor contributing to keeping fleet operating costs flat. Since fuel costs make up the largest portion of fleet operating spend, flat fuel prices have resulted in stable fleet operating expense. Offering another perspective on current fuel spend is Mark Atchley, senior supply chain manager for Enterprise Fleet Management. 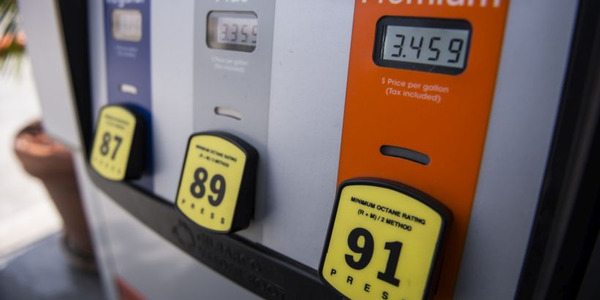 “After bottoming out in late 2015, gasoline and diesel prices have made some moderate gains. However, prices are still running at the low end of the five-year average,” said Atchley. It is well documented that fuel prices influence vehicle acquisition decisions. New- and used-vehicle markets tend to react to fluctuations in fuel prices. When prices are low, consumers may be more willing to consider larger, less fuel-efficient vehicles. “Vehicle selection plays an important role in mitigating fuel costs. Without expert advice, is it easy to make the mistake of purchasing more vehicle than a job requires. Enterprise Fleet Management analyzes the composition of our customers’ fleets to determine if the vehicle specifications are appropriate for the vehicle use. We advise our customers when we identify opportunities to right-size their fleets,” said Atchley of Enterprise Fleet Management. Fuel prices are impossible to forecast with certainty, but will be a function of economic growth, supply/demand, and currency fluctuations. As a result, most fleet management companies use the EIA forecasts for internal planning and external fuel price forecast dissemination. “Donlen generally follows forecasts provided by the EIA, which currently predicts fuel prices in 2018 will average $2.35 compared to $2.36 for 2017. We don’t expect much of a shift in fuel costs in 2018 at this time,” said Scott Underhill, business intelligence team lead at Donlen. 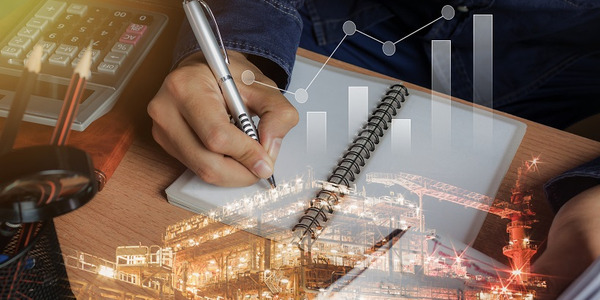 Another indicator used to forecast future fuel prices is the oil futures market, where investors buy future oil contracts based on anticipated prices as a form of hedging or as an investment to sell at a future date if actual prices are higher. The oil futures market seems to reinforce the contention that oil prices will continue to remain flat. A key indicator is that the global inventory of oil continues to exceed current user demand. 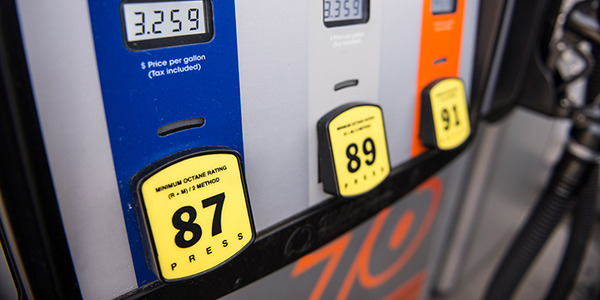 “Most forecasts predict moderate fuel prices for the next few years, with limited movement up or down,” said Atchley of Enterprise Fleet Management. The forecast of modestly rising fuel prices will be a factor influencing 2017 and 2018 model-year acquisition decisions. Since fuel cost is still one of the top contributors to the overall operating cost per mile, fuel economy for internal combustion engine vehicles remains a top focus during the vehicle selection process. “Furthermore, analysts predict that 2018 U.S. oil production will reach 9.9 million barrels/day, which would mark the highest annual average production in U.S. history, surpassing the previous record of 9.6 million in 1970,” said Mark Donahue, manager, fleet analytics for EMKAY. In recent years, lower fuel costs created an upward trend in truck and compact SUV resale values, resulting in a lower cost per mile and making these vehicle classifications more affordable to operate. Another emerging fuel-related development has been the growing migration away from diesels to gasoline engines. “Calendar-year 2017 saw a continuing trend of fleet vehicles moving to less diesel use and more regular gas fuel vehicles. From 2016 to 2017, the percent of gasoline fuel spend for vehicles on Donlen’s fuel program increased from about 82.5% to 83.3% while the percent of diesel spend fell from about 9.3% to 8.8%, and ‘other’ fuel spend fell from about 8.2% to 7.9%. This has been a continuing trend since Q4 of 2013,” said Underhill of Donlen. The consensus is that this shift away from diesel will continue into the next model-year. 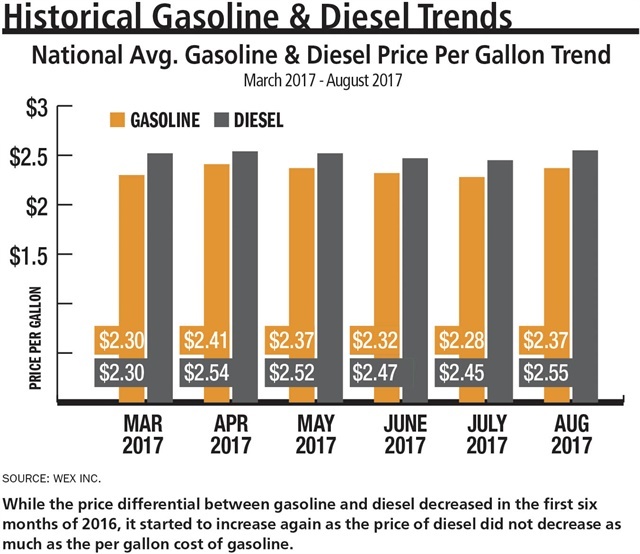 “Expect a continued trend from diesel to increased gasoline usage,” said John Wuich, vice president, business analytics at Donlen. 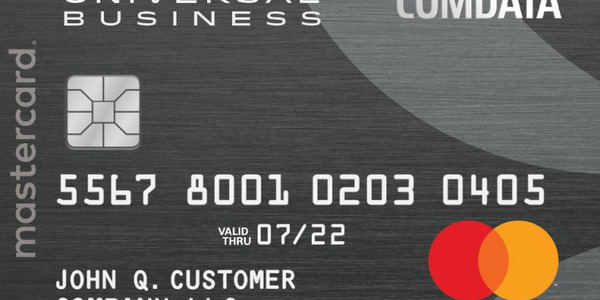 Another trend in 2017, which started in 2016, has been an uptick in fuel card fraud. Fleets are spec’ing their vehicle selectors to take advantage of fuel-efficient technologies, weight reduction measures, higher-speed transmissions, and appropriate drivetrains to meet their business necessity. Since fuel cost is still one of the top contributors to the overall operating cost-per-mile, fuel economy for internal combustion engine vehicles remains a top focus during the vehicle selection process. For most light-duty vehicles, fuel ranks behind depreciation as the top expense category. Charts courtesy of Wex Inc.
“Fleet managers consistently look for opportunities to reduce their expenditures ranging from right-sizing, route optimization, telematics, personal use, driver behavior training, etc.,” said Donahue of EMKAY. 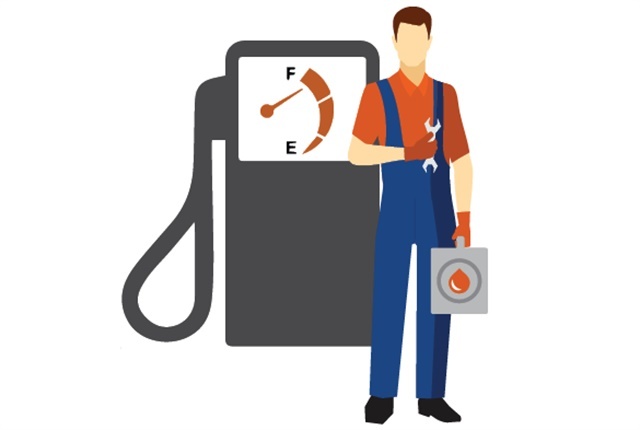 A key factor moderating fuel spend is the overall increase in vehicle fuel economy. As fleets continue to replenish their portfolios with newer assets, those assets are more fuel-efficient which serves as a natural hedge if fuel prices rise. Some fleets have taken advantage of lower operating expenses to cycle out older vehicles with the additional capital from reduced fuel spend. In addition, as vehicles are kept in service for longer periods, higher mileage vehicles have lowered fuel economy. 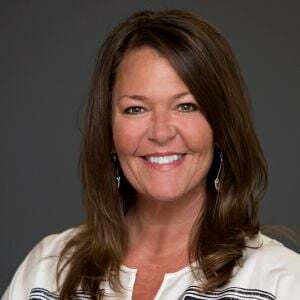 “Compact and intermediate cars under 48,000 miles have seen a decrease this year in dollars per month spend while cars above the 48,000-mile mark have increased their spend,” said Candib of Merchants Fleet Management. The biggest danger to today’s lower fuel prices is complacency, on the part of both drivers and fleet managers, and the mistaken belief that fuel reduction initiatives do not require the same emphasis as in the past. “That being said, there are pockets of fleets focused on mitigating fuel spend and/or reducing carbon footprint. Steps that have been taken include shifting to hybrid use, using telematics to improve driver behavior, reducing mileage accrued and idle time, maintaining tire pressure, and using fuel apps,” said Wuich of Donlen. 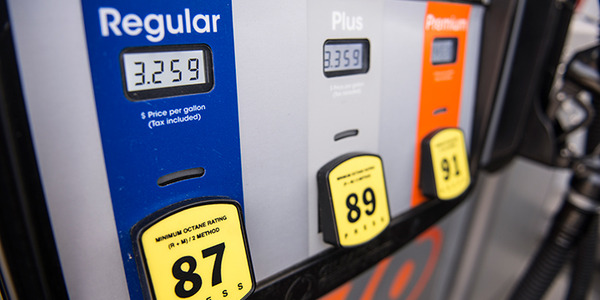 All fleet management companies base their fuel price forecasts on those projected by the EIA. “The Energy Information Administration forecasts that Brent crude oil prices will average $52 per barrel in 2017 and $54 per barrel in 2018. Fuel prices will continue to decline the remainder of this calendar year as U.S. refinery capacity and gasoline production continue to rebound following the devastation of Hurricane Harvey. 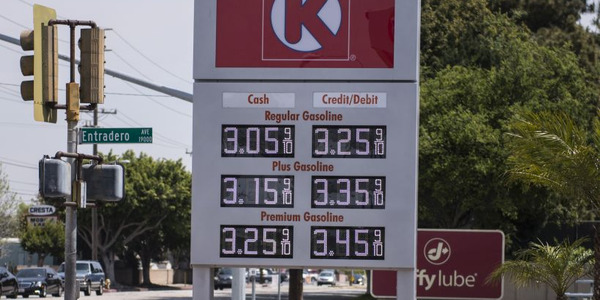 Forecasts suggest that U.S. regular gasoline will retail at approximately $2.40 per gallon in 2018, while diesel estimates will average approximately $2.79 per gallon,” said Donahue of EMKAY. In the final analysis, the price of fuel is governed by global supply and demand, which is especially true since the emergence of the mega-economies in China and India. 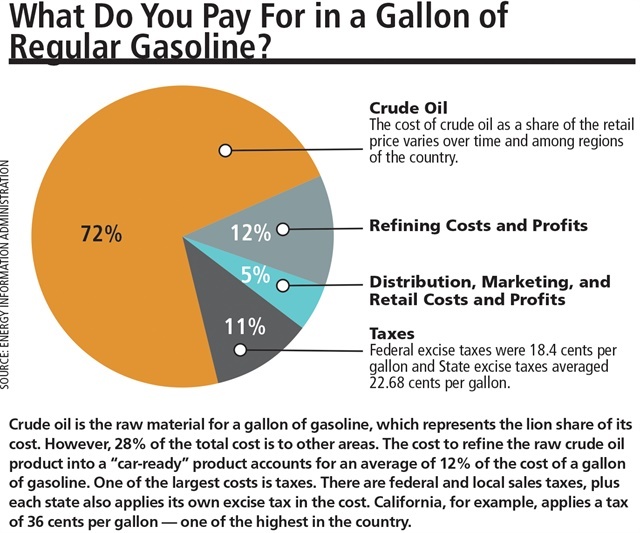 In addition, as fuel prices rise, they will impact the resale values of less fuel-efficient vehicles. As fuel prices begin to rise, the secondary used-vehicle markets will begin to adjust accordingly. 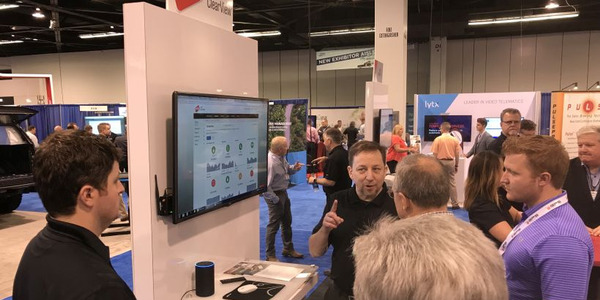 “Fleets will continue to leverage steps to mitigate and offset their fuel costs through technology, exception reporting and modifications to driver behavior,” said Candib of Merchants Fleet Management. 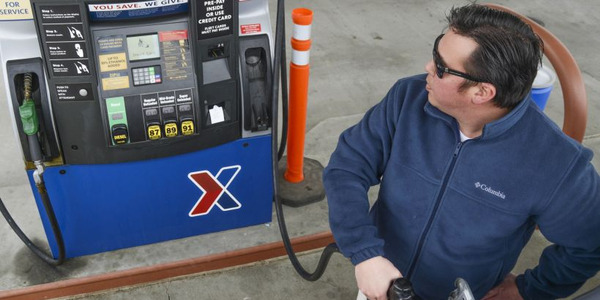 One way to mitigate fuel costs is by alerting drivers to low-cost fuel providers. “In 2017, Donlen saw increasing use by its customers of apps that can identify the best fuel choice. That is, the best fuel option based on pump price and distance to the pump. As fuel prices rise, tools such as these will continue to play a prominent role in managing spend,” said Wuich of Donlen. One variable influencing fuel prices are weather-related disruption in the fuel supply chain, such as Hurricane Harvey, which temporarily disrupted oil refining in southeastern Texas. “Weather has certainly been the unpredictable variable in 2017. Hurricane Harvey in Texas shut down many refineries in the Houston and Corpus Christi areas, resulting in short-term spikes in pricing. 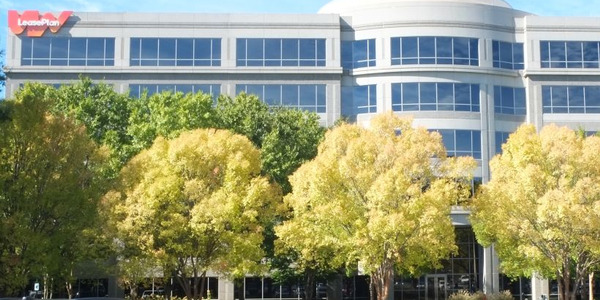 These weather-related incidents are becoming more and more common and can adversely affect even the best of fleet budgets,” said Mark Ackerman, director of maintenance & repair management for LeasePlan USA. Langmandel of LeasePlan USA also cited the impact of the recent hurricanes. Despite the weather-related disruptions, the fuel supply chain was able to quickly regain equilibrium. “While there were price increases for several months due to these natural disasters, fuel prices have begun falling again towards the end of the year. We see fuel prices, overall, remaining flat and unaffected during the 2018 calendar-year,” said Candib of Merchants Fleet Management. 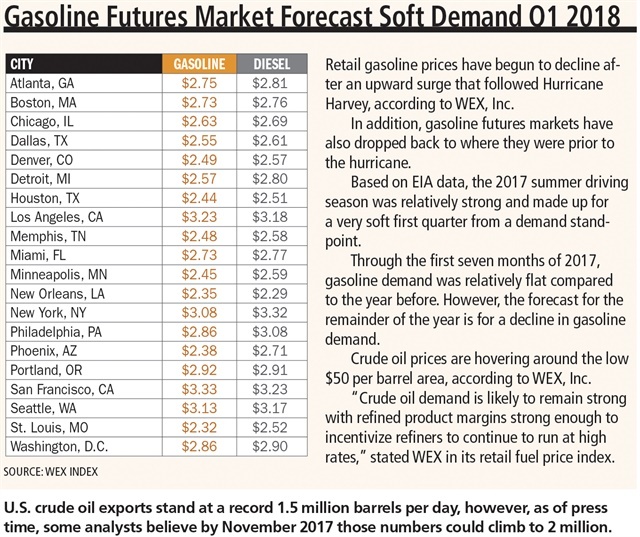 One variable that makes predicting future fuel prices so difficult is weather, as recently witnessed with three hurricanes occurring in a short period of time. Lower fuel prices have traditionally impacted the sales of hybrids and alternative-fueled vehicles. But, with the multitude of announcements from OEMs about future hybrid products, there has been an increased interest in hybrids by fleet managers. “Hybrid acquisitions are trending up slightly in 2017 over 2016 and there is more interest shown in hybrids based on tool usage to compare vehicles,” said Wuich of Donlen. Sustainability initiatives at multinational companies also plays a factor in corporate fuel initiatives. Since higher fuel efficiency translates into lower emissions, sustainability mandates encourage acquisition decisions to focus on smaller displacement, more efficient engines.